San Jose State University police are asking members of the public to provide any information they have that may be relevant to a sexual assault that occurred Monday at the university's South Campus. 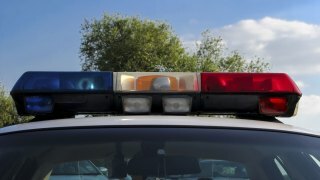 The University Police Department said a woman was sexually assaulted at about 4 a.m. Monday in the university's Park & Ride Lot at South Seventh Street and East Humboldt Street. The woman was using a portable toilet located near the bus shelter when a man, who had followed her, forced open the door and sexually assaulted her, according to police. The attack was interrupted by friends of the victim and the suspect fled on a bicycle, police said. The suspect is described as being in his 30s or 40s and having a thin mustache and two braids in his hair. He was wearing a pea coat, dark jeans and no shirt. Anyone who has information about this crime or a similar crime, who may have been a witness, or who can provide additional information is urged to call the University Police Department at (408) 924-2222. People who want to remain anonymous can use the department's TipNow system by calling or texting 408-337-2919 or emailing sjsu@tipnow.org.